I am a bacon and cheese fanatic, which is why I am in LOVE with Outback Steakhouse’s Alice Springs Chicken. If you have never had this dish I speak of, let me tell you all about it. 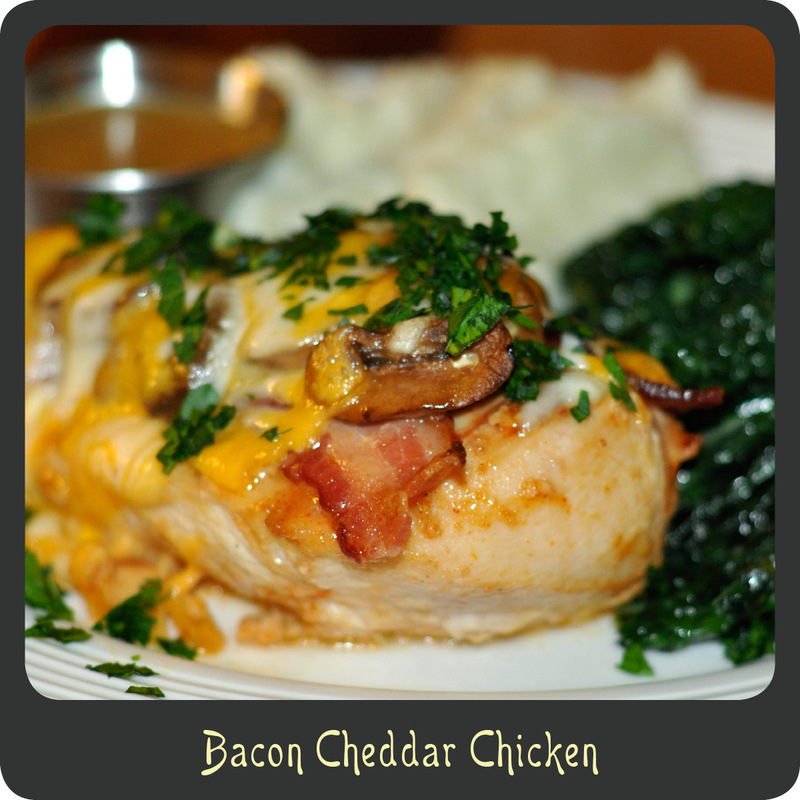 It is a juicy chicken breast cooked in a sweet and tangy honey mustard sauce, then topped with the most delicious things you can think of, sautéed mushrooms, bacon, and cheese, LOTS of cheese! Yummy-messy-goodness that’s what this is! I will admit though, I think mine is slightly better than Outback’s. Shhhhhh… don’t tell. While this dish does require a bit of prep I personally think it is well worth it. Note: For best results be sure to allow adequate time for marinating the chicken breasts. In a medium sized bowl mix together the mustard, honey, mayonnaise, and lemon juice until well combined. Spoon out half of the marinade and place in a small bowl, cover, and chill until later. Add the chicken breast to the large bowl with the marinade and toss to coat. Cover the bowl and place in the fridge for 2–12 hours to marinade. Add the chicken to the skillet and discard the marinade that the chicken was soaking in. Cook the chicken for 5–7 minutes per side or until golden brown. While the chicken is cooking melt the butter in a small skillet over medium-high heat and sauté the mushrooms. Place two pieces of bacon on each chicken breast and top with the sautéed mushrooms. Sprinkle the Monterey jack on each breast and then the cheddar. Bake the dish for 10–12 minutes or until the cheese is thoroughly melted and the chicken cooked through. Remove the dish from the oven and sprinkle the chopped parsley over the melted cheese. Serve each chicken breast with a small side of the honey mustard.